A definition essay is a type of paper for higher education that requires defining a word, concept, or a phenomenon. You can write it on any term that comes to your mind. You can define the word table, for example. You can steer away from words with definite meaning, too. You can also focus on abstract concepts, such as respect, love, or life. Definition papers are a bit more complex than you initially assume. Think about it: you get a banana as a topic for your definitional essay. You can easily explain what a banana is. A banana is a yellow fruit that tastes really well. In this guide, we’ll tell you how to pen a definition paper, no matter how challenging the requirements seem. You shouldn’t skip the pre-writing stage. It determines the success of the overall piece. You cannot skip the writing stage. That would leave you without the content you need. You shouldn’t skip the post-writing stages. You want a flawless paper that would get you a good grade. Our job here is to teach you how to compose a written discourse, so we’ll cover all those steps with instructions. If you want more liberty in your writing, it’s best to go with conceptual terms that describe ideas. A glass, for instance, is something you can write about. However, such a price term will result with lack of ideas. Patriotism, on the other hand, gives you a nice foundation to write more text. You can think of several explanations and descriptions, so you can basically write a more intriguing discussion. Of course you can hit the thesaurus and use the word of the day as your topic. But if you don’t know much about this concept, the endeavor will be more difficult for you. If you have a literal word to mind, such as apartment, you can use a similar, but theoretical word to make the topic more open-ended. Home is a less obvious and more flexible term. Pick a versatile term. Dinner has a different meaning in France and in the USA. 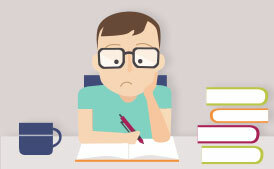 If you have no idea about the title of your essay, try brainstorming! Just take a piece of paper and switch off your logical thinking. Write all words that come to your mind. Don’t think about the logical connection. Somewhere along that list, you’ll find a nice concept to stick with. Good news: a definitional essay does not involve a lot of analysis. You know how you’re overwhelmed by the volume of digging you have to do for an argumentative paper? Well, this stage of research will be nothing like that. You won’t need to quote many resources. You’ll still have to do some investigation, though. Find several definitions. Dictionaries are useful not only for language learning, but for understanding terms as well. Even if you know English pretty well, you still don’t know all words in that language. Find the origin of the word or concept. If you have a term from nature, you can find more information about it in the Encyclopedia of Life. Search for online sources that describe and discuss the concept. You’ll get tons of inspiration from Google; you just have to check the reliability of the materials before you decide to use them. Google Scholar is a better search engine to use when compared to the usual Google. Drafting a framework is crucial if you want to write a focused, straightforward definition essay. You’ll still have space for creative writing even if you have a template. This framework will guide you through the different points of your essay and won’t allow you to digress. Plan what you’ll write in the introduction, body, and conclusion. In the introductory paragraph, you’ll give the standard interpretation of the term. Since no plagiarism is allowed, you’ll provide a proper reference for your characterization. However, you’ll also include your own explanation of the word, based on your understanding and the research you’ve done. That’s going to be your thesis statement. In the body of the essay, you’ll talk about the origin of the word and its history. You’ll analyze the defining sentence from the dictionary. You can compare and contrast the subject matter with other terms, so you’ll give more dimensions to it. 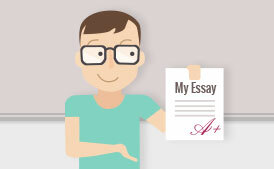 In the concluding paragraph, you’ll summarize the main points of your essay. This one is easy; you’ll just have to follow your outline and fill in the gaps. You already have a great stepping stone. Thanks to the research you’ve done, you understand that term and you’ve formed your own impressions. Thanks to the outline format, you have a precise direction to follow. Just focus and write! Start this process as soon as possible, so you won’t be in a hurry to write the paper. The more time you have, the better the paper will be. No; you’re not done! You cannot submit an unedited version, AKA draft. Throughout the stage of editing, you’ll focus on finding and fixing all inconsistencies and errors in grammar. 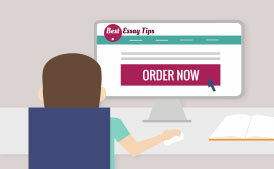 When you’re absolutely sure you have an error-free essay, you may turn it in. Definition Essay Topics: What Can You Write About? You get the point, right? A nonconcrete term would be the best subject for your definition paper. You’re not going to define the issue as you would’ve explained it to a friend. This is an academic project, after all, so it needs the right style. Are You Ready to Start Writing Your Definition Project? The definition paper is not the most complex type of essay you’re ever going to write. It’s just your initiation into academic writing. That doesn’t make it less demanding. It’s a type of project that demands a serious approach; otherwise it will turn out silly. Now that you have all the right tips to follow, you’re ready to tackle the challenge!